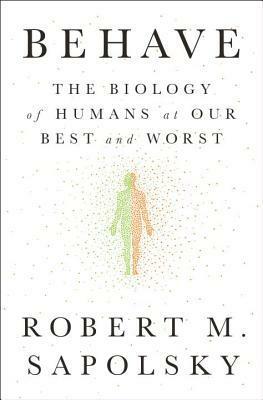 Whatever your discipline of study, this book has some degree of relevance, considering as it does human biology. I wish to convey that this book is aspirational for everyone, even the author himself. He readily admits to gaps in his/our knowledge about human biology, but he tries to give us, in this mighty interdisciplinary work synthesizing a lifetime of observation and thought, the current state of knowledge and points to areas for further study. Don’t be intimidated by its size or erudition. The author is amazing but he has always been approachable. Just flip through, stopping where something catches your eye. You will find yourself absorbed, amazed, provoked. Notice the chapter headings: the last several chapters are about humans doing the right thing…or not. The first several chapters reference those later chapters, showing how what he is telling us is related. What we do and how we act is related to our biology..all of it…like neurobiology, endocrinology, genetics, the relevance of which he attempts to be very careful and specific about explaining. He goes back in time, bringing in examples from our ancient history to show how things have changed and how culturally conditioned our reactions and responses are to stimuli. Each chapter ends with a summary, and the book ends with insights he has developed over years of study. Skim these to see if there is something more you wish to pursue. The studies he discusses in each section are referenced by authors focusing on different aspects of human knowledge and you may already be familiar with them. The concepts explored underpin much of what we understand about human behavior and morality. The work of Steven Pinker, cognitive scientist and currently professor of psychology at Harvard, is described by Sapolsky as “monumental” and is given its own critique late in this book. Sapolsky is not arrogant. He writes this book not to show off his knowledge, but to share his knowledge, which is why he tries to make it as readable as possible without dumbing it down. It is a work to be grateful for. One of the more moving moments in the work comes near the end, after over 600 pages of science and Sapolsky is talking about doing the right thing. He introduces us to Anglican cleric John Newton, born in 1725. Newton composed the hymn “Amazing Grace” but that is not what Sapolsky wants to tell us. Newton is remembered as an abolitionist, mentor to William Wilberforce who worked through parliament to outlaw slavery in the British Isles. But he didn’t start out that way. Read the story for yourself--plan to read the whole back-end of the book because you won’t be able to stop with Newton—about individuals, ordinary individuals making a difference and doing the right thing. Sapolsky may be a great scientist, but he is great writer and a great teacher. He makes us think and challenge our own assumptions. He tries to answer questions as they arise and he does not intentionally obfuscate. He does not dodge and only occasionally dismisses, and only then when an argument falls of its own weight. If you wish you had the background to soak up everything he says but do not, go for one of his earlier books which he wrote as a younger man, less burdened by all he has studied. They display his trademark intelligence and humor and are as much fun as a barrel of monkeys book on baboons.